The autumn months can get a bit chilly, but rest assured, fall is one the best seasons for camping. Cool and crisp weather make for ideal hiking conditions, and beautiful colors reign supreme immersing onlookers in otherworldly-hues. 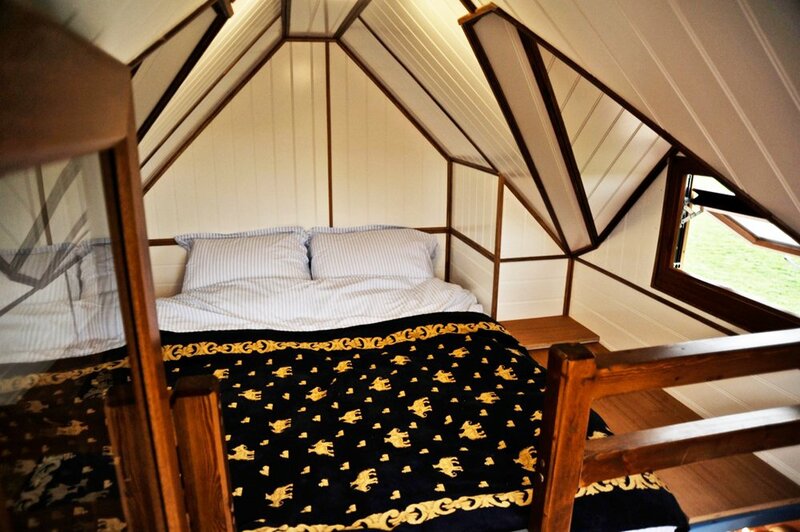 However, if you’re still adverse to sleeping with nothing more than a slip of fabric between you and the ground, this luxurious ‘glamper‘ is the perfect solution for those who’d rather experience nature with the creature comforts of home. 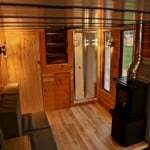 In fact, this cool camper comes with one fun (arguably, low-brow) indulgence most of us never get to enjoy: a hot tub. 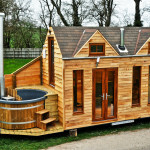 Called the Tinywood Three, this design is the work of Aidan Reeve of UK-based Tinywood Homes, a local builder that has made a business of constructing wood-fired hot tubs. 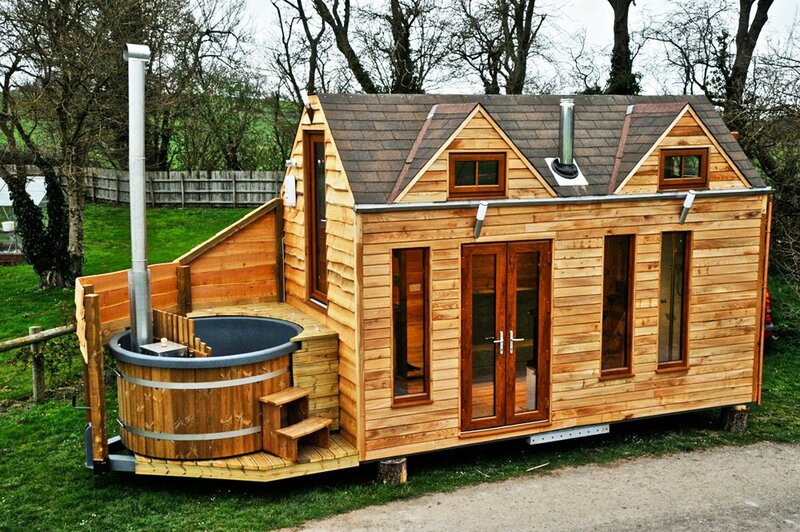 The glamper concept combines his hot tubs with one of the company’s other ventures: building luxurious tiny homes. 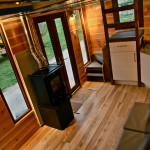 The glamper design is based on a shipping container home Reeve and his team created in 2012. 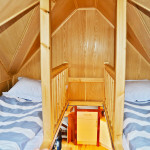 The home is relatively spacious at 20-feet with a lofted sleeping area and the potential to accommodate up to eight people at a time. 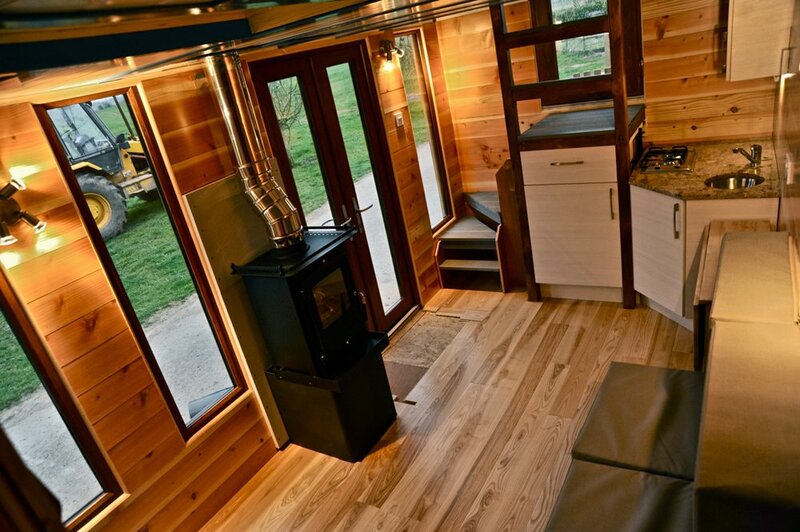 Other “luxuries” include a compact kitchen, a woodstove, and of course, a hot tub. 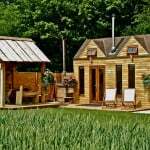 There is even the possibility of turning the Tinywood Three into a full-fledged home by adding on a composting toilet, water tank and solar power. Is this the next big thing in high-end eco-living? Currently, the homes are only produced in the UK and go for $57,000+. 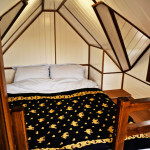 International buyers itching to try one out can spend a night in a UK rental.